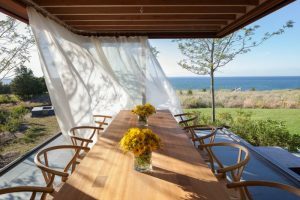 Balcony has always a pretty space to build a relaxing and fresh place. 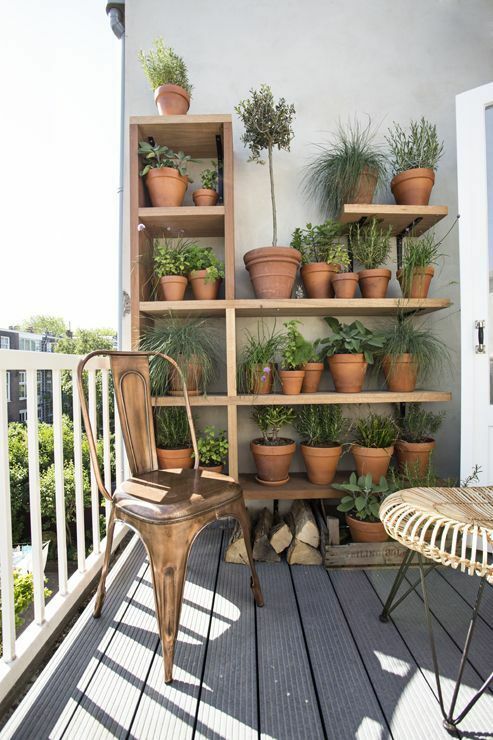 One way to do that is by putting plants on the balcony, or better, small garden. 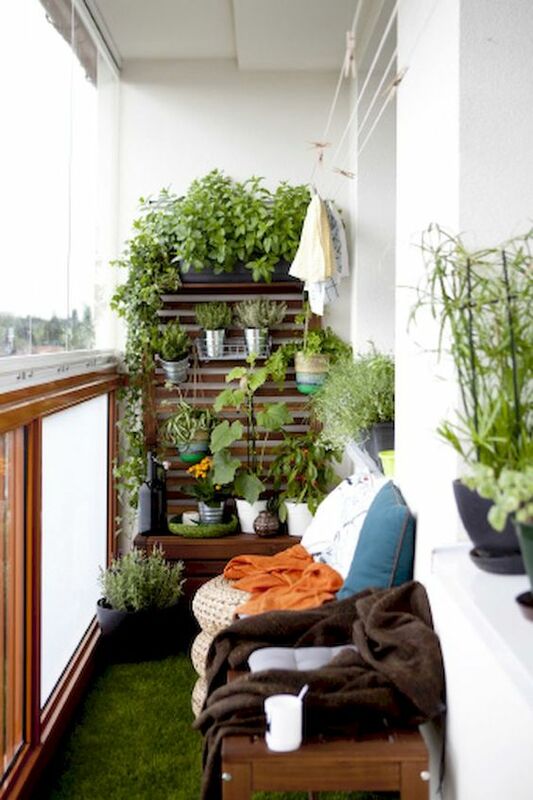 Plants are always a fine way to make balcony feels fresh and stunning. 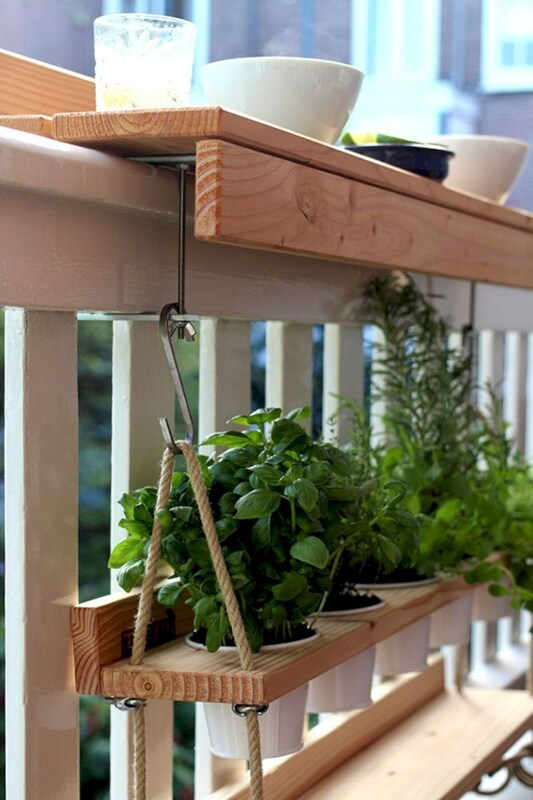 If you have a long and wide space in the balcony, you can afford a small garden on the balcony. You can do it just like this one here does it. 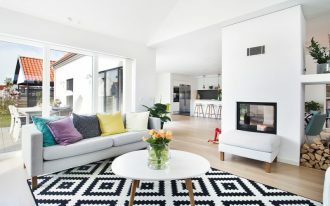 With some part of the floor opened and some floating pots on the wall with detailed hooks, this one balcony makes a pretty and fresh look. 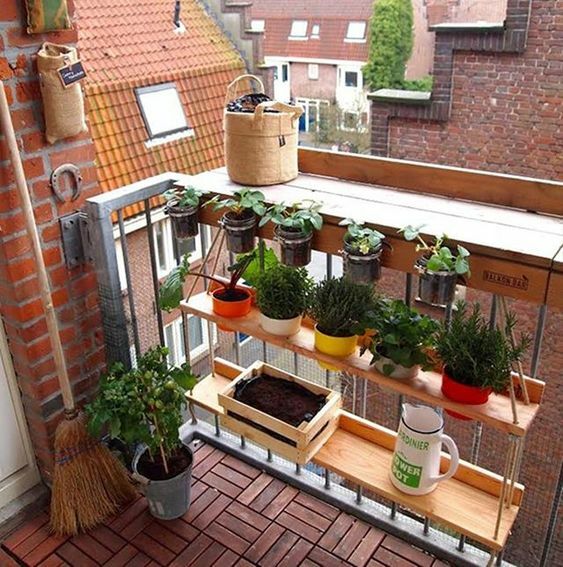 Small balcony also can give you small garden, just like this one here. With grass on the corner and some floating pots on stone tiles on the wall. The white river pebbles on the floor, too, has given the balcony more fresh vibe that it has already had. 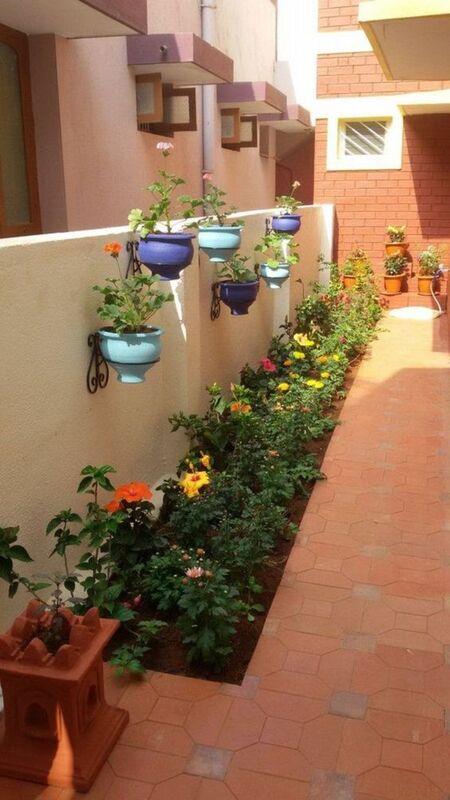 To make a balcony even fresher, colorful flowers can be added to your balcony. 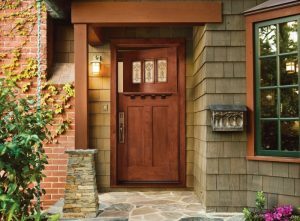 However, if you don’t have the chance to make bright colors out of it, colors can also be added by putting in on the pots you use, like this one here. 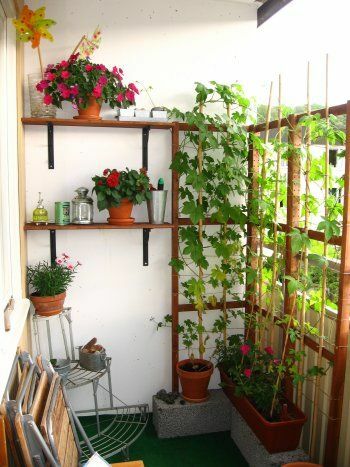 Another way to make your own garden is by putting a small hanging shelves like this one here. Wooden shelves like this one starts from the wooden table on the rail and added hanging wooden shelves below with hook and rope. 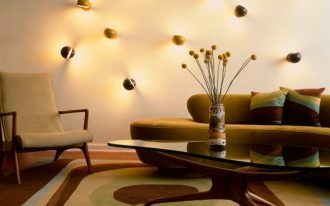 Similar to the previous one, this one here also has wooden seating with holes to put your pots. 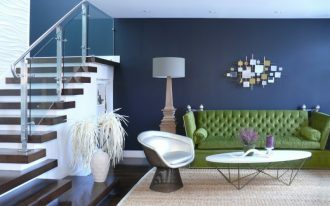 However, this one is simpler without wooden shelves on the top on the rail. 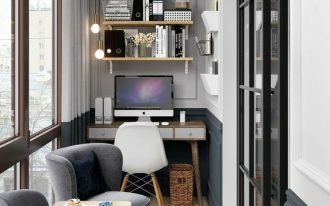 Similar to the previous one, wooden shelves hung on the rail is also displayed in this picture below. 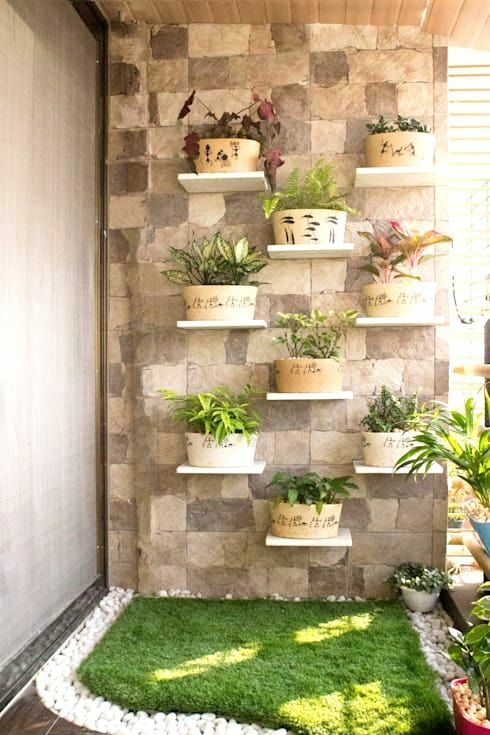 If you love to add more plants, you can always add more wooden board or add hooks to get your bottles or pot hung. If you love to treat your plants simpler, wooden shelves are probably the best option you might want to do. With shelves, all the things you need to do left is putting the ots on the shelves. 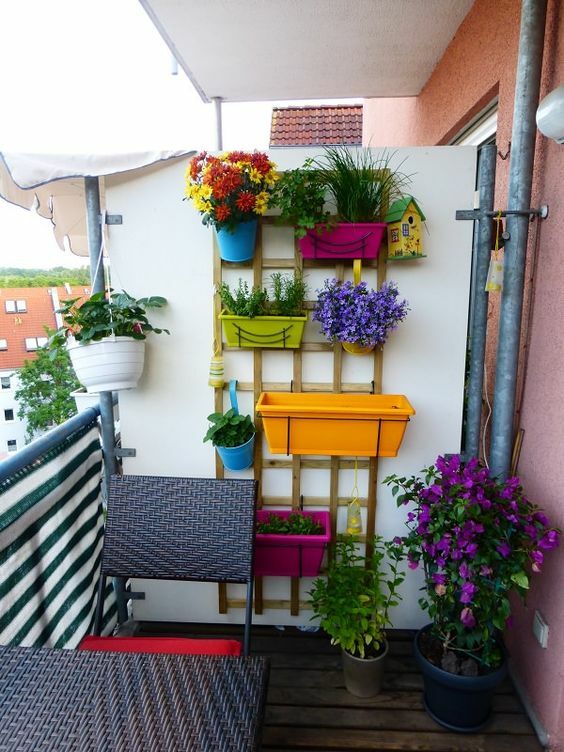 It’s simple and it can make your balcony different. 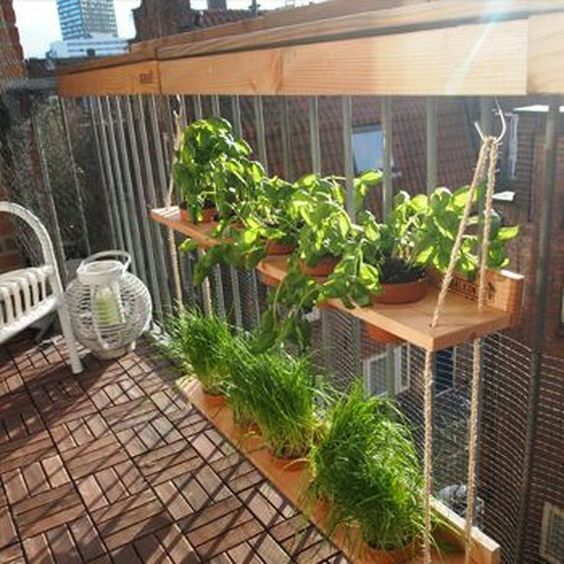 Another thing that you can do when you try to make your balcony greener is by having vertical plants wood planks like this one here. You can put your pots on the hooks and let it hung from there. You can also use the top of the planks to add more space. 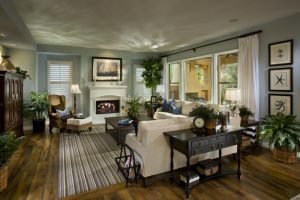 The floor in this one below also tries to look as green as it can. And it does it good. If you don’t want to do with too many plants, you can put vines on the floor and lead its path to your ceiling. With that, it would feel like you have many plants. It will also give you shades. 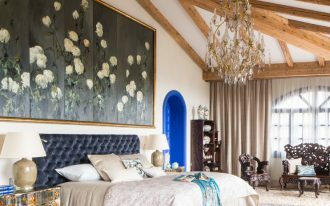 If you want to have another shade but you want something colorful, putting more flowers on the pots that you hang from the ceiling would be be a great idea. 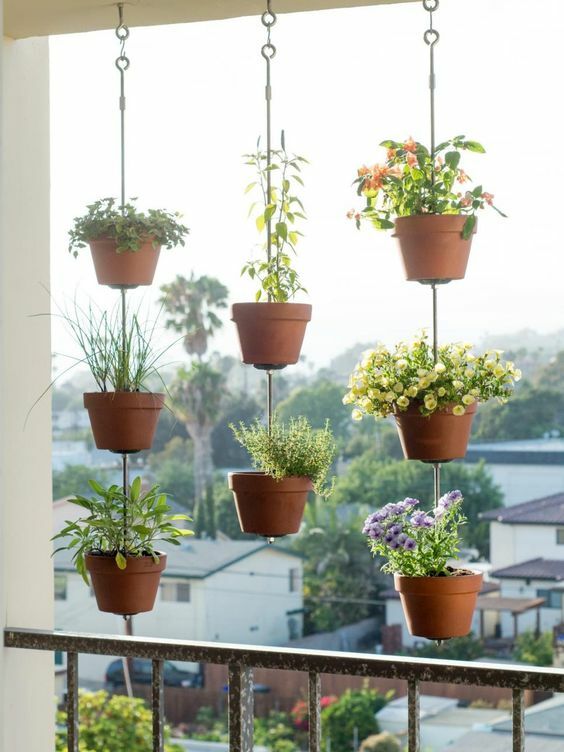 You can put some lines of hanging pots in your balcony and create your own shade.